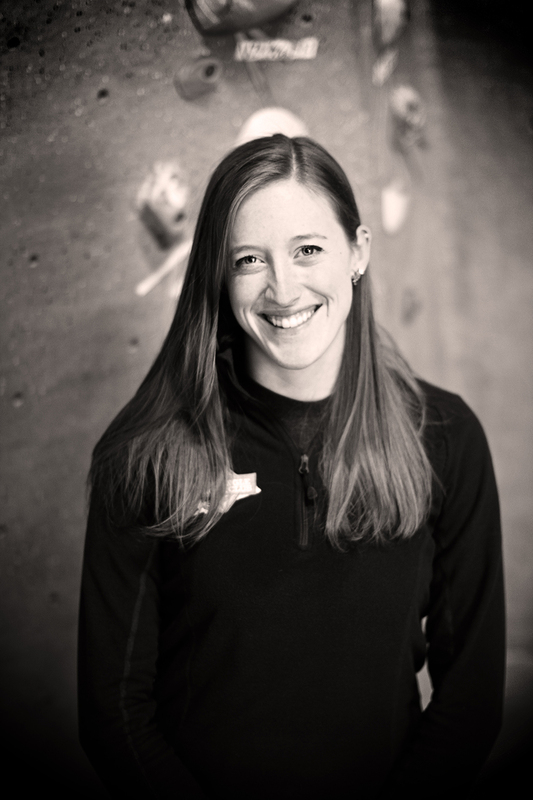 Hannah grew up in Minnesota and relocated to the Triangle after graduating from the University of Minnesota with a B.A. in Global Studies. 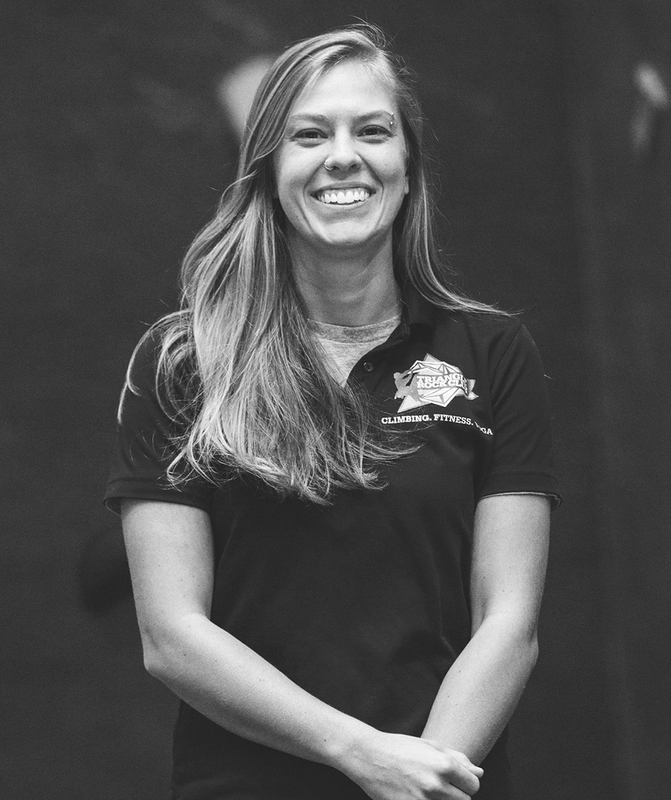 Hannah enjoys traveling with a focus on outdoor adventure and education and has spent time in the Pacific Northwest, Ecuador and the Outer Banks facilitating adventure-focused activities. 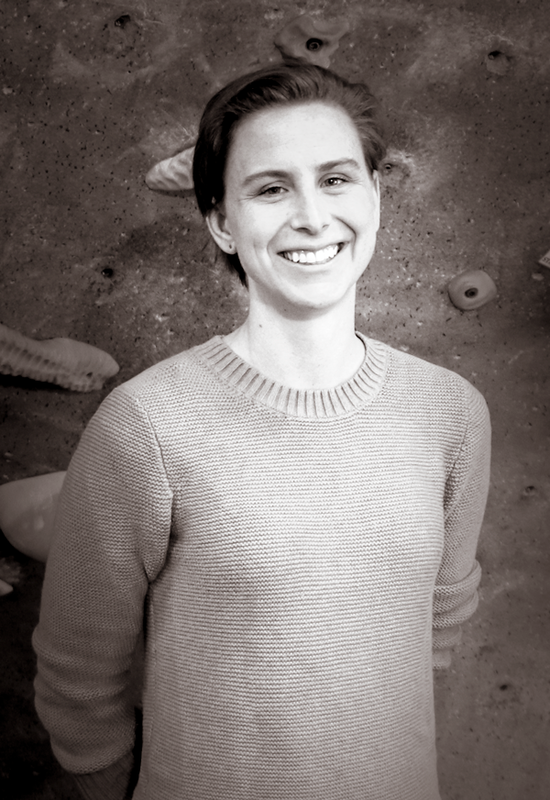 Hannah began climbing in the fall of 2014 and quickly developed a passion for the sport. Mike grew up in Georgia before moving to Raleigh to attend NC State. 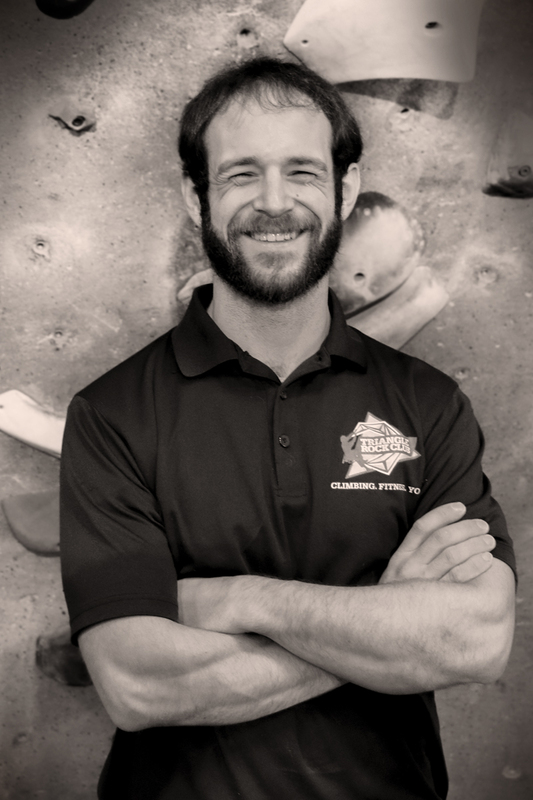 In 2015, he was introduced to rock climbing and has been hooked ever since! He holds a B.A. in English Creative Writing and is currently pursuing his B.S. in Mechanical Engineering. 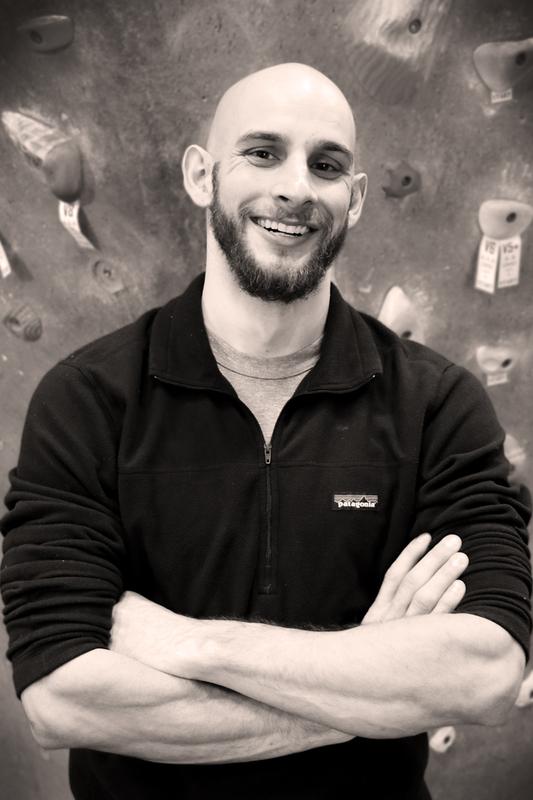 When he isn’t rock climbing, Mike spends his free time tinkering with robots, cracking dad jokes, and spending time with his lovely wife Rebecca and their black lab rescue Olive. 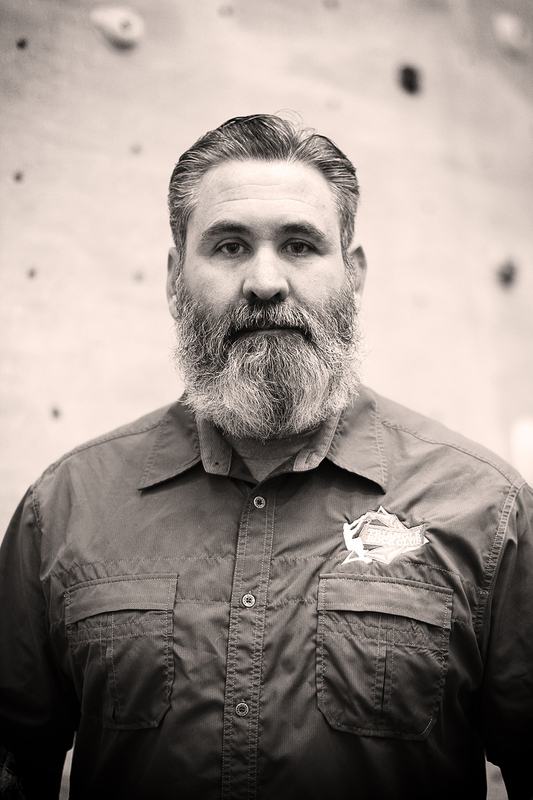 Bradley (“Brad”) holds an undergraduate degree in Business Administration with a minor in International Marketing from Southeast Missouri State University and a Masters in English from Kyungpook National University in South Korea. 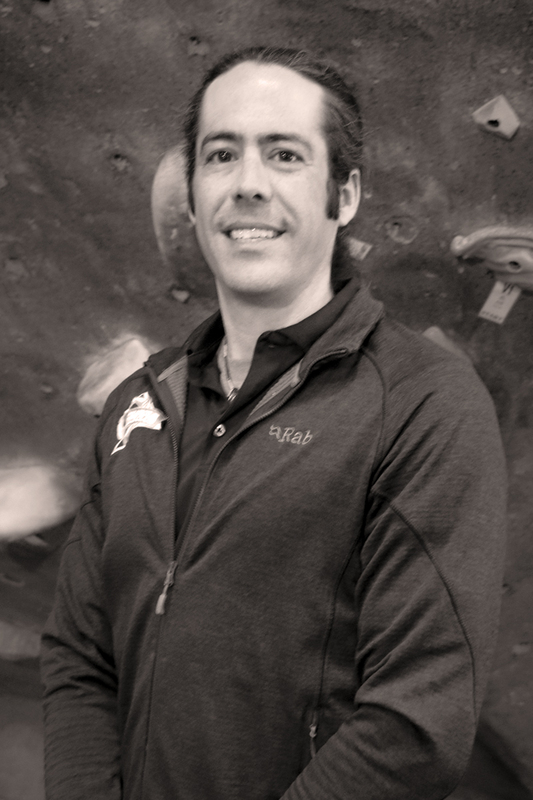 As a CPR and CWI certified climbing instructor who has organized and led climbing trips throughout the United States and South Korea, Bradley is not only an avid climber, but is also known as the individual to send the longest sport route in North Amerca (Time Wave Zero at El Potrero Chico, Hidalgo, Mexico). 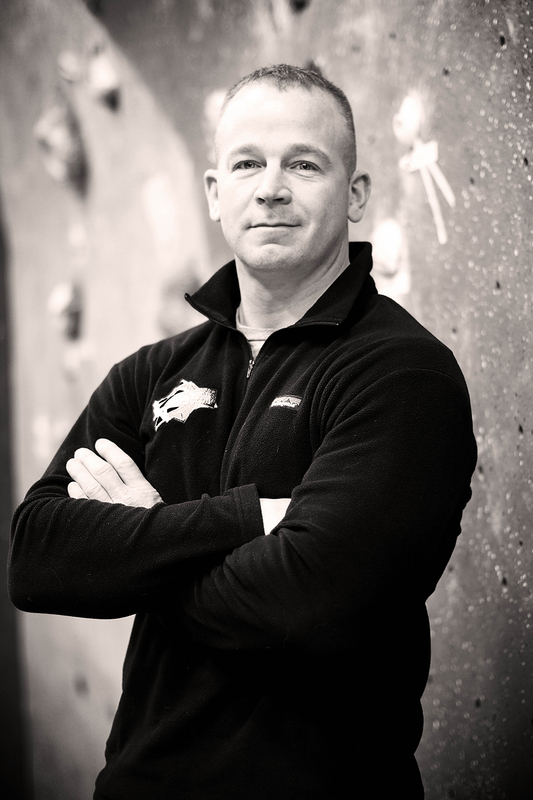 As a long time climbing trainer, Bradley has developed his own programs for strength-training, with a focus on injury prevention. 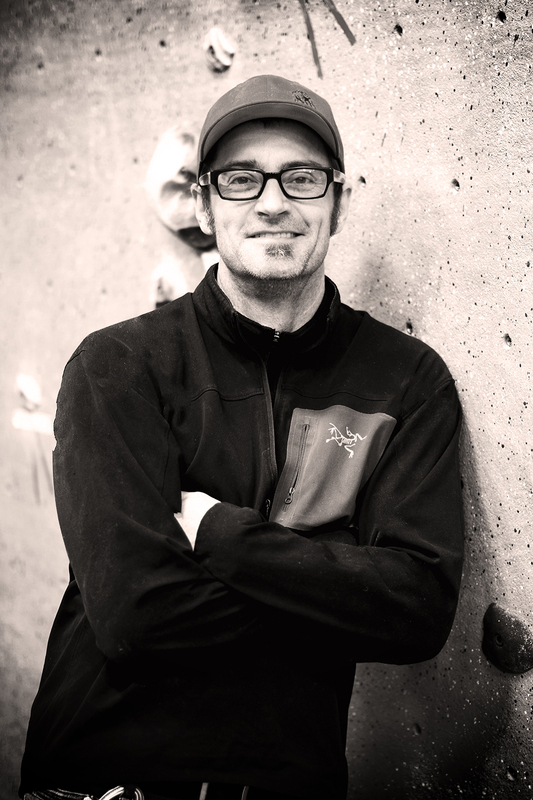 When he isn’t at TRC or outdoors climbing, you can find Brad reading Mark Twain, playing rock and roll covers and working as the Director of Marketing for Butora USA. Eric moved to the Triangle from Richmond, VA, in 2012. 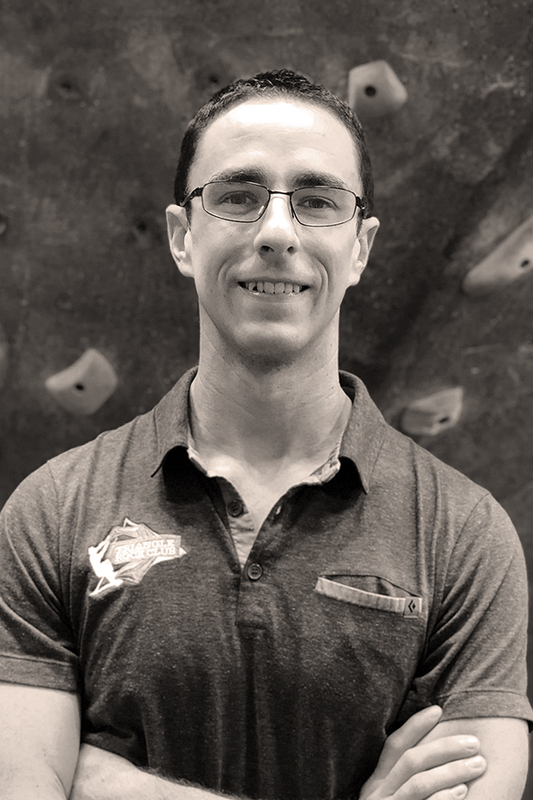 He discovered his love for climbing here, and he joined the Triangle Rock Club team in 2015. Though he enjoys chipping away at classic climbs far from home, you can find him most weekends appreciating the variety and volume we have here in the Southeast. As retail manager, he looks for gear that provides simple and elegant solutions. Morgan grew up near Boone, NC. 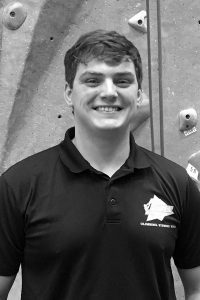 He moved to Raleigh to attend NC State, where he started climbing in 2011..though he realizes that most people move to mountains to start climbing, not the other way around! In his free time, he enjoys hiking, camping, biking, and playing soccer. An Eagle Scout through and through, Morgan is always prepared to take on whatever challenges come up at Triangle Rock Club! Mike has a long history with Triangle Rock Club. 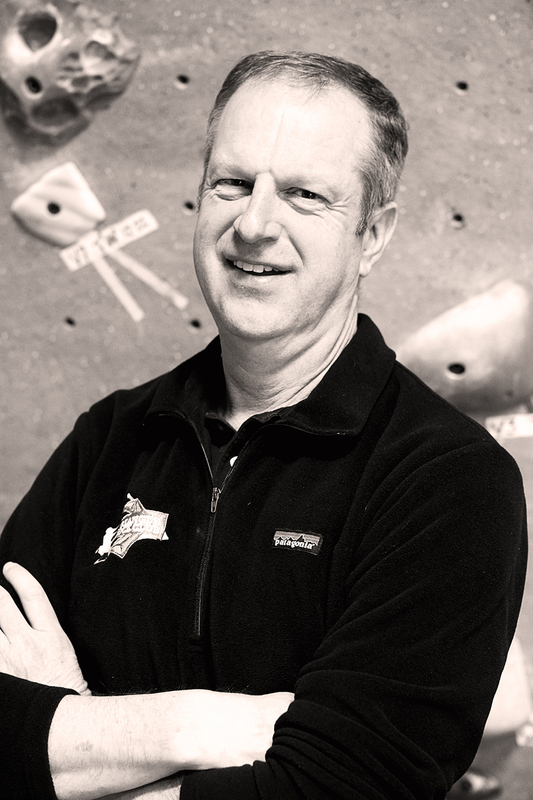 After offering to volunteer during the construction of the first Triangle Rock Club location in Morrisville in 2007, he was soon hired as the company’s first employee. In 2013, he was promoted to Club Director at the Morrisville location. 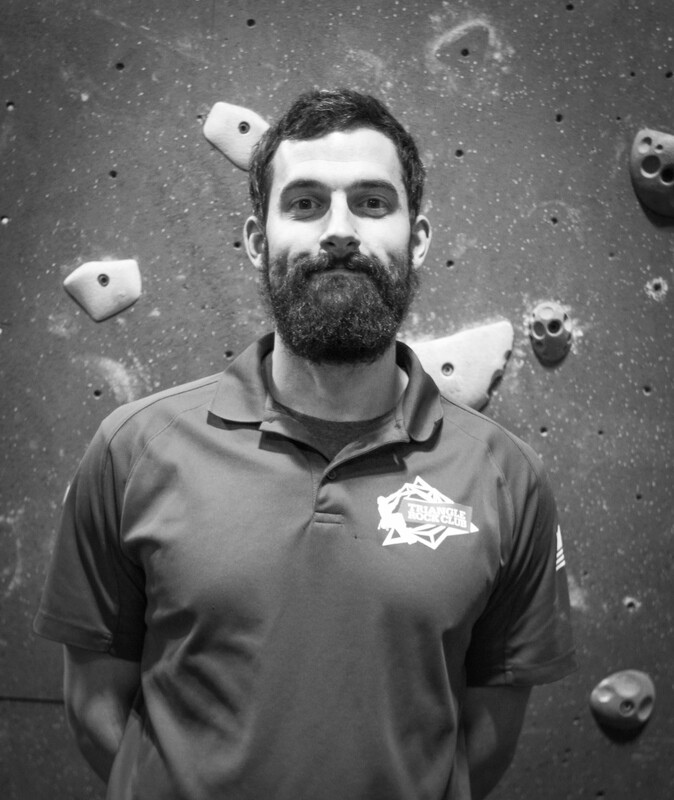 As Director of Operations, Mike overseesTriangle Rock Club’s five locations in North Carolina and Virginia, builds strategic relationships, and develops future leaders in the company. Marybeth is a designer and art director from Chattanooga, TN, with nine years of experience in visual identity and marketing. 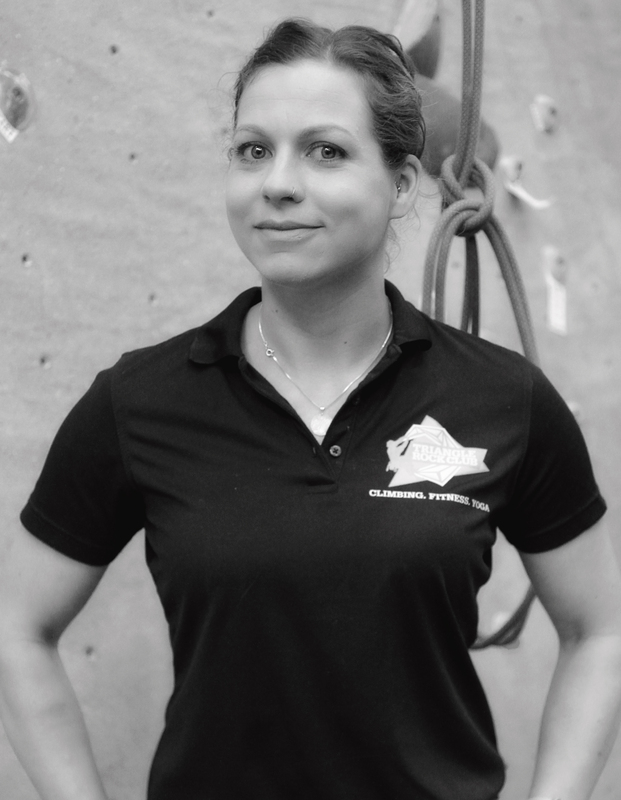 After graduating from Davidson College, she received her M.A. in Design Management from Savannah College of Art & Design in 2013. Since then, she’s worked in schools, non-profits, and businesses tackling branding, marketing, and communications strategy. She enjoys hiking, learning new things in the kitchen, and reading. She lives in Durham with her extraordinary partner, Sarah.